Didactic materials and distinct technological resources are the brands of SER Learning System. Allying tradition and content of Ática and Scipione publishing with the set of information of SOMOS Educação, SER Learning System was born in 2007. SER offers unique textbooks, elaborated by renowned authors with the objective of promoting student’s integral formation, preparing them for universities and for the challenges of life. It also offers technological resources on SER website and content that goes beyond the classroom. The methodological structure that leads the organization of all SER’s learning sectors makes it possible to adequate the content to the needs of the schools and to its calendar. 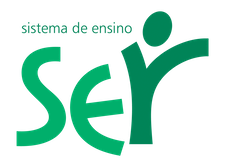 SER is part of SOMOS Educação´s portfolio of Learning Systems.